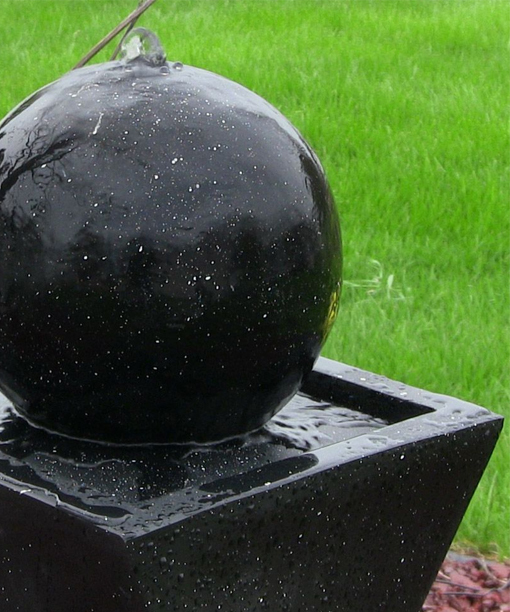 The Black Ball On Demand Solar Water Fountain with Solar Lights works when you want it to. With a modern look great for many decors, the technology is also state-of-the-art. The solar panel (which can be placed up to 16 feet away from the modern water fountain) stores up to 4 hours of power. Direct sunshine powers the fountain when it's sunny while also storing power in the battery. During cloudy weather or at night, the battery lets the fountain run up to 4 hours. LED lights are built into the top of the fountain, near where the water spills over the ball and into a self-contained reservoir. Enjoy the fountain at night or during overcast skies. Note: the lights only work when it is dark, as they are turned on by a photocell that detects darkness. 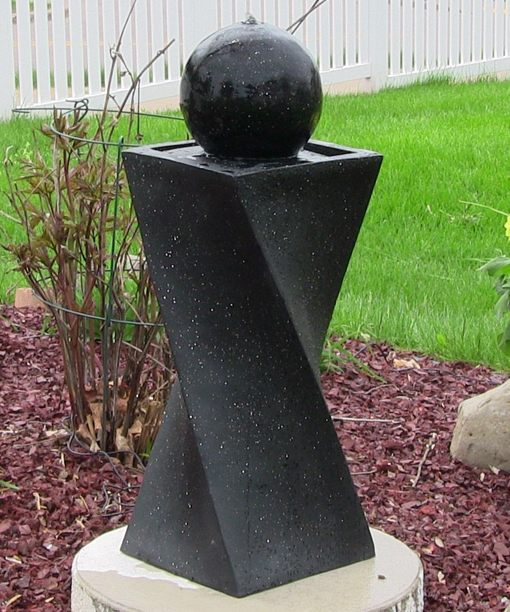 Fountain Size: the Fountain is 30 inches tall, and 10-inches square at the base and the top of the fountain.